Grow Land, LLC is one of the premier landscape, irrigation and outdoor lighting companies in the Greater Phoenix Area. Our personalized services include full landscape consulting, irrigation and more! As the premier landscape design build company of the southwest, we are committed to meeting your expectations through creative designs, quality construction and consistent communication. Specialty Concrete Construction is an expert concrete contractor with 36 years of experience in this field, so trust us to get the job done right the first time. You can always depend on us! Our goal is to be a leader of well-designed environments that balance beauty and sustainable living in the Sonoran Desert. XDI’s approach harmoniously mixes natural forms with artistic flair. At Alpha Landscapes, we can perform all your landscaping needs. 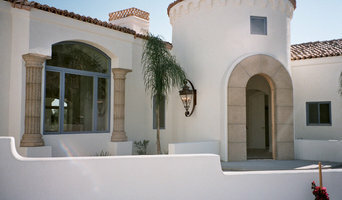 We specialize in helping clients increase the value and beauty of their homes by creating elegant outdoor living spaces. We design and build the shade structures helpful to using your outdoor spaces year-round. 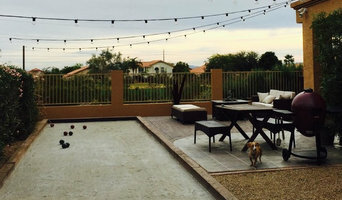 Enjoy more time outside entertaining or simply having coffee and newspaper in the mornings without the glare of the Arizona sun. Privacy shades and screen rooms available, too! We design and install all types of custom landscapes, desert landscapes, xeriscapes, drought tolerant landscapes, urban landscapes, formal landscapes, outdoor living areas, waterscapes, and more.